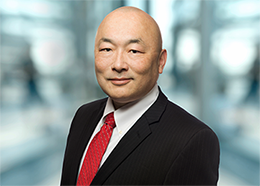 Eric Chuang is a Managing Director in the firm’s Forensic Technology Services practice with more than 20 years of investigative experience in law enforcement and national security, including cybersecurity, incident response, counterterrorism, counterintelligence, criminal investigations, psychometrics, crisis management, computer network operations and secure communications. Eric has held several senior positions in law enforcement, including most recently as Chief of the computer operations group in the Operational Technology Division of the FBI. Having extensive experience in all aspects of computer network operations, Eric helps clients to rapidly respond to major cyber incidents, identifying compromised systems and impacted individuals, determining breach scope and data loss, advising on containment and remediation, and future breach mitigation. From 2010 until 2017, he was involved in the investigation of every notable cyber breach, and has worked extensively with a range of cyber industry partners and technology vendors. He conducted psychological fitness assessments at the FBI for special assignments, utilizing his Doctor of Psychology and psychometrics, crisis management and conflict resolution experience. Eric received the FBI Director’s Award for Outstanding Science & Technology Achievement, having built and deployed an enterprise undercover capability to support the FBI’s intelligence and investigative operational activities on the internet, and was responsible for its global tactical and secure communications. Experienced in the coordination of foreign counterintelligence and counterterrorism, Eric received the Director of National Counterterrorism Center Award and Cash Incentive Award in 2008. He is fluent in Mandarin Chinese.